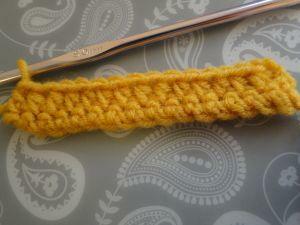 Half Double Crochet - Simple and Fast! 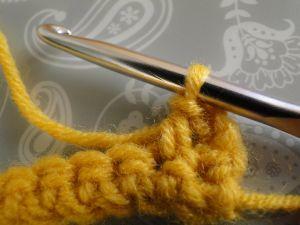 This stitch is stylish and smart! 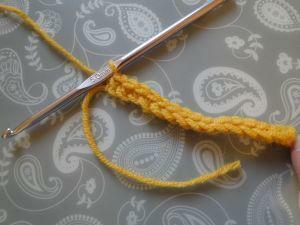 If you've managed to complete your first double crochets, then this one will be a breeze! 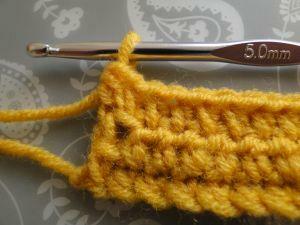 A row of single crochet for the base. 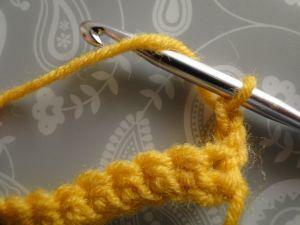 Step 1: Chain 2 - don't make the chains too tight, as you will work into the top chain at the end of the next row! 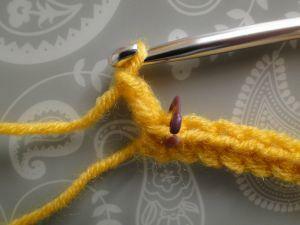 These two chain will count as your first stitch of this row. 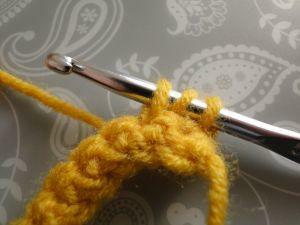 And you've just made a half double crochet! 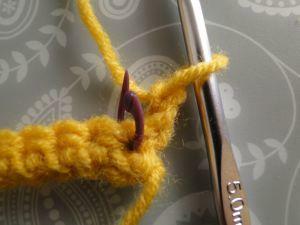 Step 7: Continue until the end of the row. 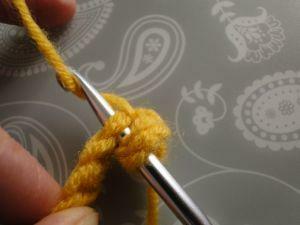 So: yarn round hook, insert into next stitch, yarn round hook, pull through stitch, then yarn round hook for the third time and pull through all three loops! 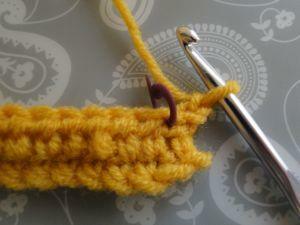 Step 8: Starting the second row of half double crochet, work 2 chain, not too tightly. 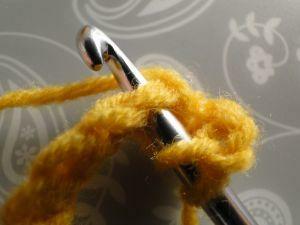 Step 9: At the end of the row, you arrive at the 2 chains you worked to turn. 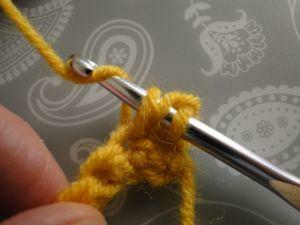 Make your last half double treble into the top chain of the turning chain. 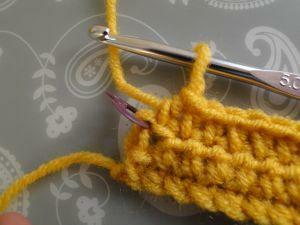 Then you can ch 2 to turn, and stitch along the next row to practise!